Chandigarh, April 8 (IANS) The Election Commission on Monday ordered the transfer of Punjab Inspector General (IG) Kunwar Vijay Pratap from his post following a complaint against the officer by the opposition Shiromani Akali Dal (SAD). Singh, who was IG-border range, has been posted as IG-counter intelligence at Amritsar. 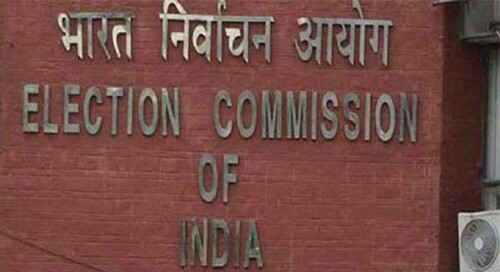 The EC has also directed the Punjab Chief Secretary to relieve Singh from the special investigation team (SIT) looking into the police firing incident of October 2015 in Behbal Kalan village of Faridkot district following protests against sacrilege cases during the tenure of the SAD-BJP government at that time. The EC has asked the state government not to assign any election related work to the IG. The SAD had complained to the Punjab Chief Electoral Officer (CEO) pointing out that the IG had made political statements regarding the SIT probe in an interview last month. The SIT is investigating the firing incident linked to the sacrilege cases in which top SAD leaders, including former chief minister Parkash Singh Badal and SAD president Sukhbir Singh Badal, and police officers during the SAD regime have been questioned.